Most of the time, challenges involving Philadelphia's Rocky Steps require going up, not down. Olympic gold medalist Sebastien Toutant had something else in mind. 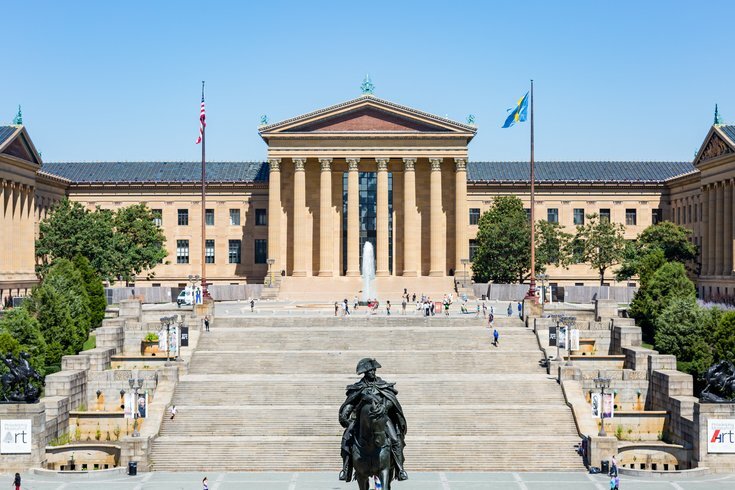 The 26-year-old snowboarding star and reigning Big Air champion took a trip to Philly with Red Bull to complete a slide down the Art Museum's 72 stairs. Normally, there isn't a railing on those steps, but a kinked rail and ramps were installed going all the way down. Toutant managed to hold a 50-50 slide with just one quick drop and a second ramp to get back up and finish it off. There were several falls along the way, as you can see. The full video from Red Bull plays up the "Rocky" narrative to achieve maximum effect. Considering all the stock references these steps get when people visit Philadelphia, it's a credit to Toutant and Red Bull that they came up with something unprecedented. This accomplishment probably belongs safely to Toutant alone.